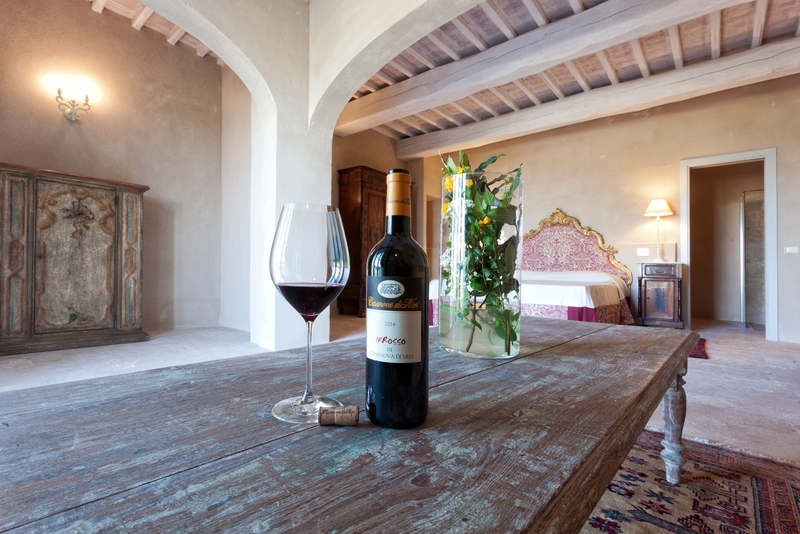 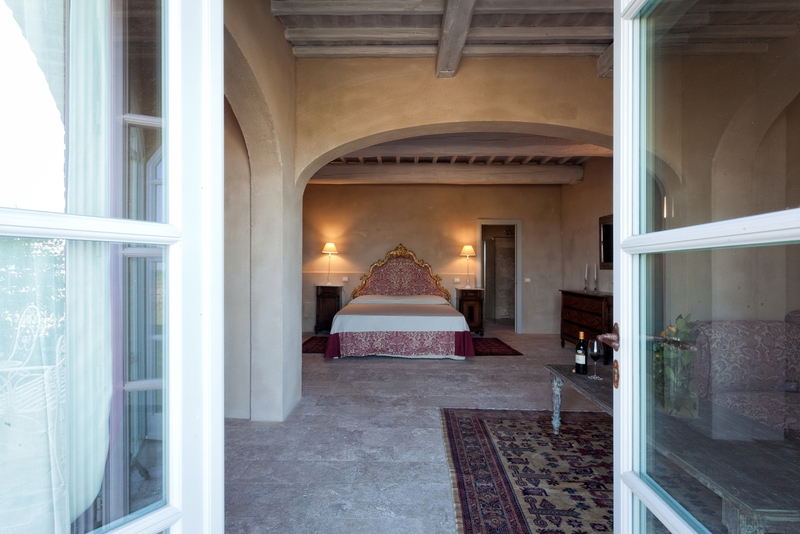 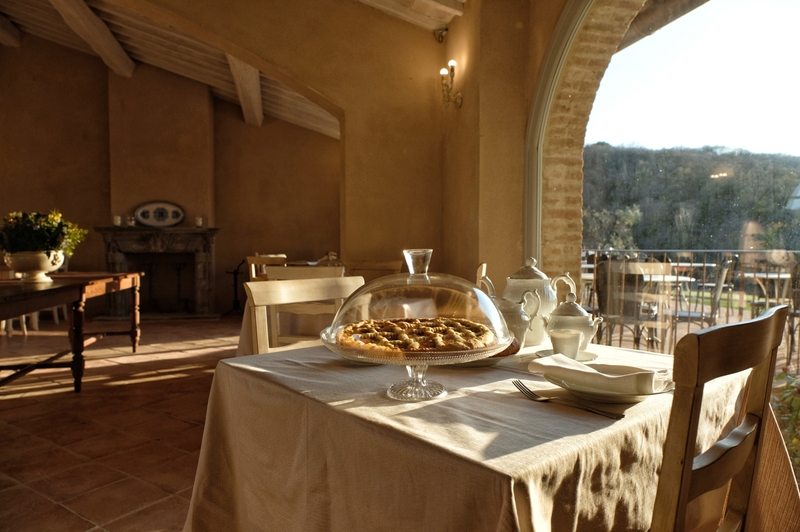 The IrROSSO suite fully evokes the style of Casanova di Neri and uniqueness of Montalcino. 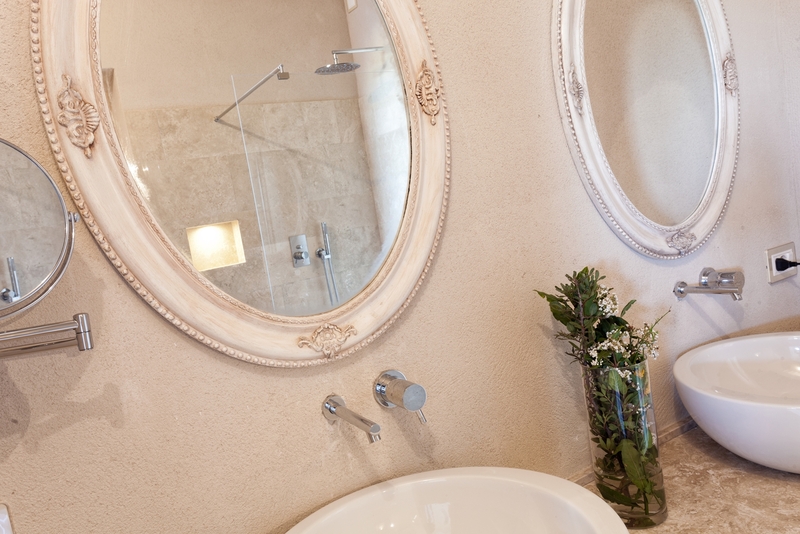 The spaces offer a great balance between elegance and refinement, for an unforgettable stay. 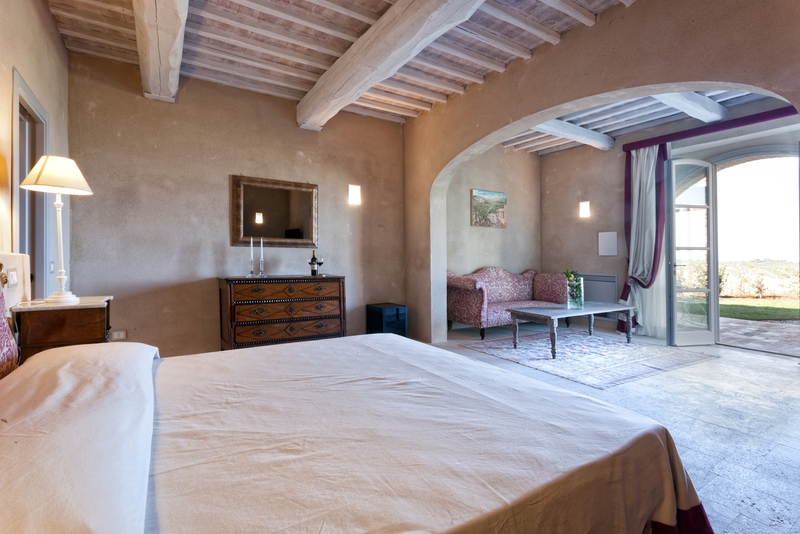 Technical Data: 47 sqm, fully furnished on the ground floor of the cottage, with access from the private garden. 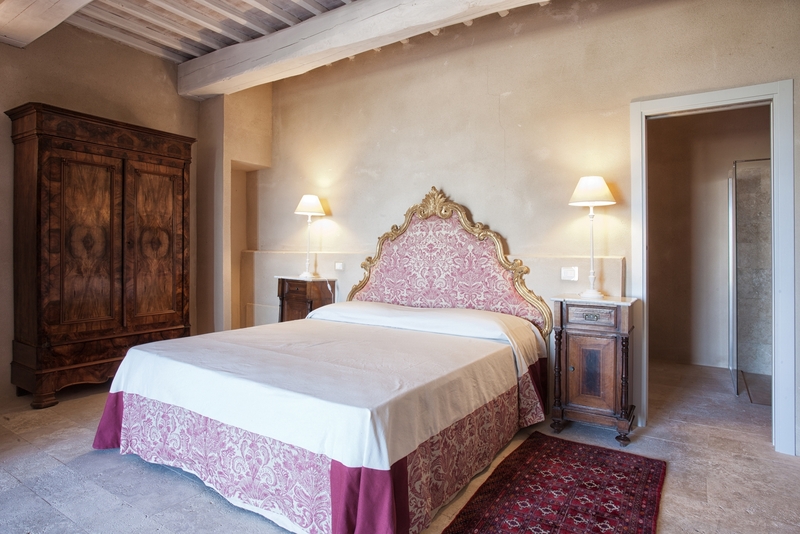 Features: Wifi Internet, flat screen HD TV, minibar, air conditioning, custom fabrics. 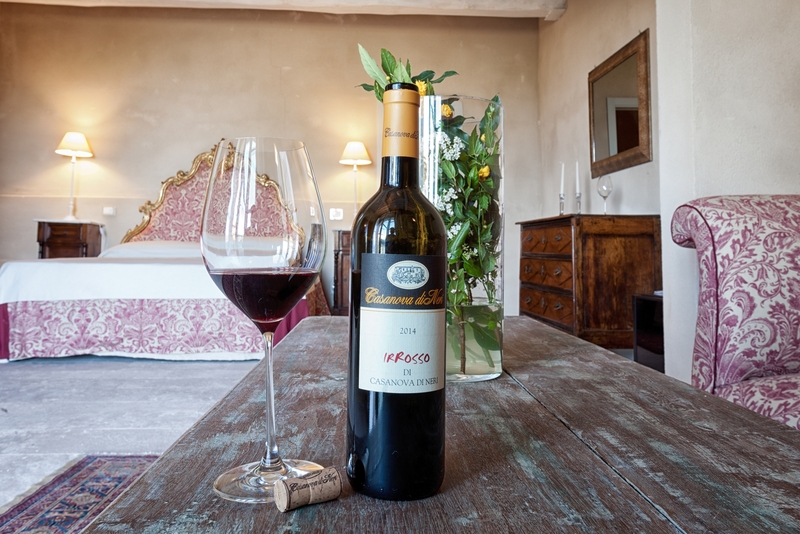 Irrosso gives the idea of a young red, significant but with easy drinkability and is linked to the characteristics of its native territory, with an unforgettable Casanova di Neri stamp.